Hitchcock is sitting at a desk in the newsroom. Walking past a tennis court carrying a walking stick. Being bothered by a small boy as he reads a book on the London Underground. This cameo is 19 seconds long. Hitchcock is walking past the house where the murder was committed. Possible cameo walking across the road in a dark trench coat as a bus passes by (unconfirmed). The man tossing a white sheet of paper while the bus pulls up for Robert Donat and Lucie Mannheim to leave the theatre. Possible cameo coming down gangplank before hero. Hitchcock is standing outside the courthouse, holding a camera. In Victoria Station, wearing a black coat and smoking a cigarette. 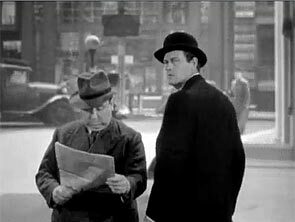 After John Jones (Joel McCrea) leaves his hotel, Hitchcock is seen wearing a coat and hat and reading a newspaper. Walking near the phone booth just after George Sanders makes a call. Mailing a letter at the village postbox (long shot). Walking a horse across the screen at the hunt meet. 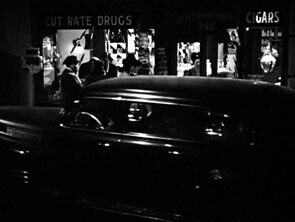 Hitchcock is standing on the street outside a store, "Cut Rate Drugs". Originally Hitchcock wanted to do a cameo with his secretary Carol Stevens as deaf and dumb persons walking down the street. 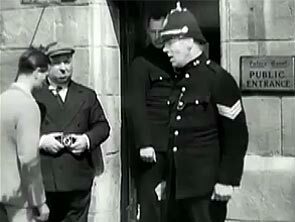 Then Hitchcock was to have made a presumably indecent proposal using sign language, resulting in the woman slapping him in the face. It was, however, not considered a proper reflection of people that were handicapped. 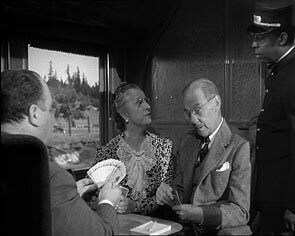 Shadow of a Doubt: Hitchock's cameo on the train taking uncle Charlie to Santa Rosa. In the "before" and "after" pictures in the newspaper ad for "Reduco Obesity Slayer". Coming out of an elevator at the Empire Hotel, carrying a violin case and smoking a cigarette. At the big party in Claude Rains's mansion, drinking champagne and then quickly departing. 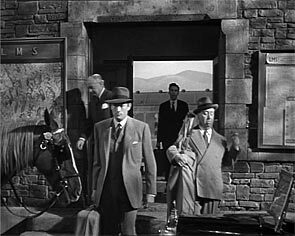 Hitchcock is leaving the train at Cumberland Station, carrying a cello case. 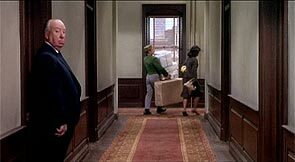 Gregory Peck is carrying the suitcase. 1. Walking along a street (holding a newspaper) after the opening credits. 2. 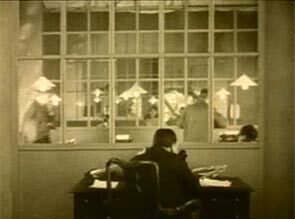 His trademark silhouette can be seen on a red neon sign advertising "Reduco" in the view from the apartment window. 1. In the town square during a parade, wearing a blue coat and brown hat. 2. One of three men on the steps of Government House. Hichcock is turning to look back at Jane Wyman in her disguise as Marlene Dietrich's maid. Boarding a train with a double bass as Farley Granger gets off in his hometown. Crossing the top of a staircase. On the left side in the class-reunion photo. Winding the clock in the songwriter's apartment (Some argue that Hitchcock breaks the fourth wall in this cameo, possibly turning to look at the audience in a "What are you looking at?" sort of manner, although he may merely be looking at Ross Bagdasarian who lives in the apartment). Sitting to the left of Cary Grant on the bus (Grant, who had previously been directed by Hitchcock in Suspicion and Notorious, gives the director a look as if to say, "Oh, no. Not you again!"). Looking outside of the window-the man walking past the parked limousine of an old man who is looking at paintings. Watching acrobats in the Moroccan marketplace (back to the camera). 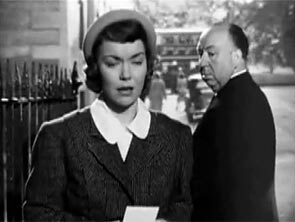 Alfred Hitchcock introduces The Wrong Man in what is not a normal cameo appearence. 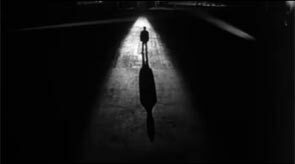 Seen in silhouette narrating the film's prologue. According to Donald Spoto's biography, Hitchcock chose to make an explicit appearance in this film (rather than a cameo) to emphasize that, unlike his other movies, The Wrong Man was a true story about an actual person. 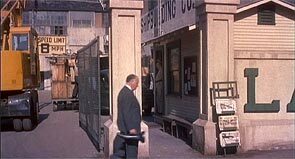 Alfred Hitchcock is seen in a grey suit walking in the street outside Gavin Elsters company buildings. 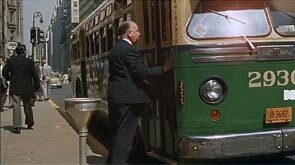 Hitchcock too late for the bus at the end of the titles sequence. 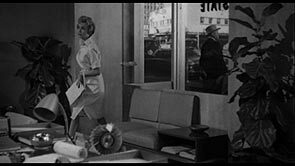 Hitchcock wearing a cowboy hat can be seen through the office window when Janet Leigh is entering. 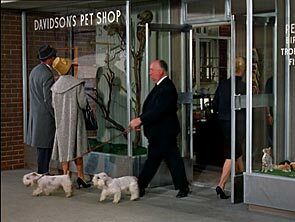 As Melanie Daniels (Tippi Hedren) enters the pet shop, Hitch is leaving with two white Sealyham terriers. Hitchcock is entering from the left of the hotel corridor after Tippi Hedren passes by. 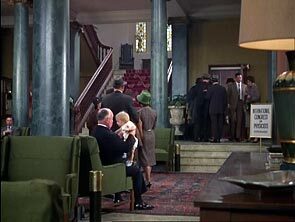 Hitchcock is sitting in the lobby of Hotel d'Angleterre, Copenhagen, with a baby on his knee. He shifts the child from one knee to the other. Being pushed in a wheelchair in the airport. Hitchcock gets up from the chair, shakes hands with a man, and walks off to the right. In the center of a crowd, wearing a bowler hat; he is the only one not applauding the speaker; and a minute later, right after the victim washes ashore, standing next to a gray haired man with a gray beard. 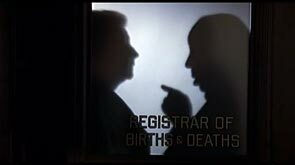 Hitchcock's silhouette is seen through the door of the Registrar of Births and Deaths.